The cyclo-cross season has now ended however there's usually plenty of events taking place through spring and summer. We currently don't have any events listed but if you know of any let us know by filling in the form on our event submission page and we'll do the rest. If a league event is published on the British Cycling website then we've got a link to it. To see the full list of 2018-19 British Cycling links go to our cyclo-cross leagues page. 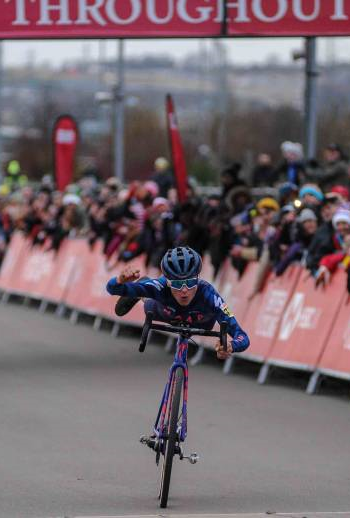 Here's a comprehensive list of national cyclo-cross champions and podiums going all the way back to Alan Jackson's first win at Welwyn Garden City in 1955. For improved search results use double quotation marks around the string you're searching for. All information to 2016 courtesy of British Cycling Federation archivist Jim Hendry. If you spot any mistakes let us know via the contact form below.